Shoes N Booze: Perfect Pairing: Drink Smirnoff Love Wins Cocktails. Wear These Shoes. Perfect Pairing: Drink Smirnoff Love Wins Cocktails. Wear These Shoes. We're pretty sure you already know, but just in case... June is LGBTQ+ Pride Month, which honors the Stonewall riots in NYC and acknowledges the accomplishments and equal rights struggles experienced by members of the LGBTQ+ community. It is also a time when many memorialize those who have lost their lives to hate crimes or to HIV/ AIDS. The New York Pride Parade is this weekend, and we know many of you will be joining the festivities. We've got your shoes and sips covered. If you'll be clubbing this weekend, you'll need the perfect party heels. Enter Cape Robbin's Maria sandals. 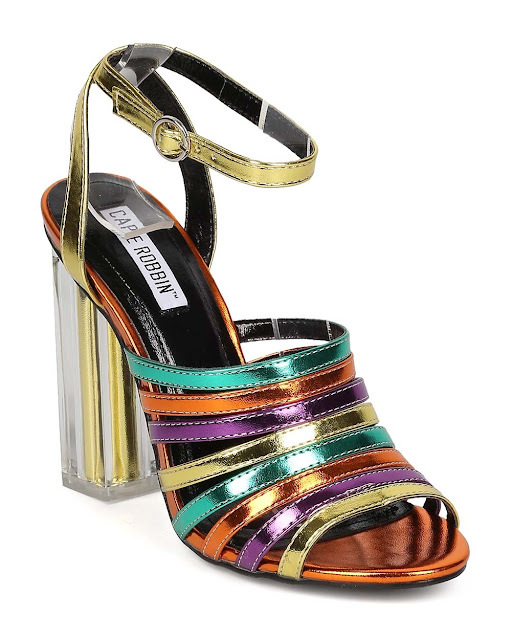 They're affordable (less than $50 on Amazon), and fun AF, thanks to sparkling straps (HELLO disco ball!). The lucite block heel is on trend for Summer '17, and the ankle strap provides the steadiness you need for whatever the dance floor demands. Get them (in this or other color combinations) HERE. Smirnoff recently released its limited edition "Love Wins" bottle. The vodka inside is the Original 21 Recipe, the same award-winning stuff you always order at the bar. In this case, it's what's on the outside that counts— an iridescent metallic finish and and prints of inspiring LGBTQ+ couples. Also Smirnoff partnered with the Human Rights Campaign, pledging to donate $1 to the organization for every limited edition bottle it produces. That's add up to more than $260,000 going to the biggest organization working toward equality for LGBTQ+ folks in the United States. If you're part of an LGBTQ couple and want a chance to be featured on next year's Love Wins bottle, submit your favorite pic of you and your boo HERE by 9/30/17. Oh, and we're not actually suggesting you walk the streets with an entire bottle of vodka in your hand... however, look out for it at your favorite bars. If you're going to the actual NY Pride Parade, you'll probably prefer sneakers over heels. 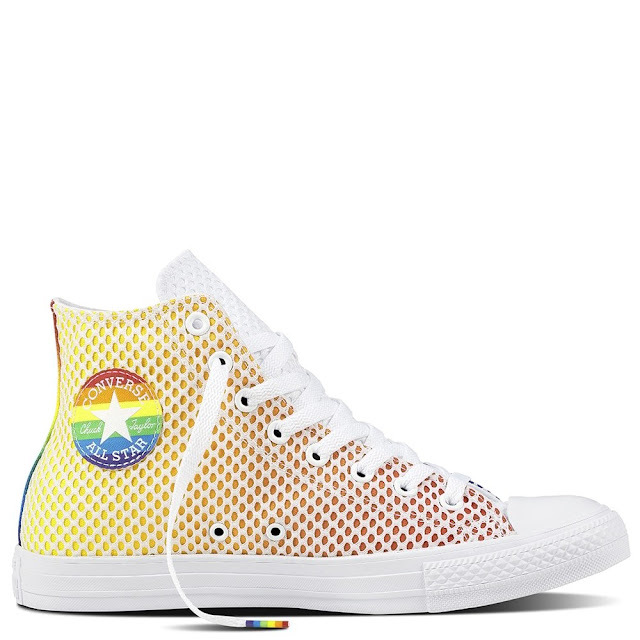 Converse has a number of options in its 2017 "Yes to All" Pride Collection (our favorite is pictured above). All net proceeds from the collection will go to the It Gets Better Project and the Happy Hippie Foundation, which are both organizations committed to empowering LGBTQ+ youth around the world. Wherever you celebrate, with whomever you celebrate, be sure to indulge and enjoy responsibly and legally. *Disclosure- Smirnoff is a spirits partner and occasionally sends us complimentary bottles. Shoes N Booze is an Amazon affiliate.